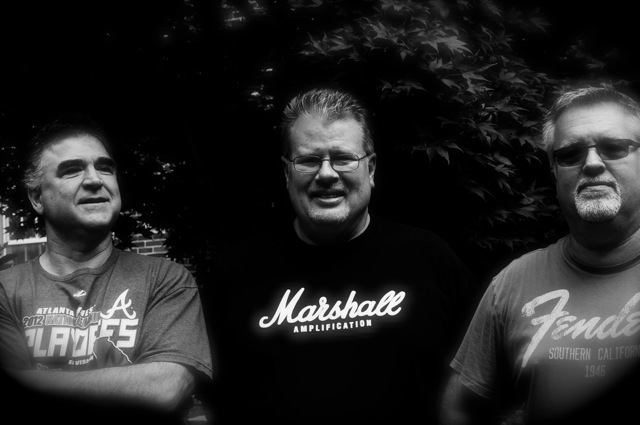 Grandmother Cornflake (GMCF) is a song writing and recording team consisting of Tony Brackett (bass guitar, guitar, mandolin), David Prago (vocals, keyboards, guitar, harmonica, dulcimer) and Fred Smith (guitar, keyboards, drums). Songs From The Lake is a collection of music recorded over the course of 2014. There are no "virtual" instruments used or digital editing performed in the recording of the music. GMCF has a wide variety of influences including REM, Tom Petty and The Beatles. We pride ourselves on writing music with strong melodies and vocal harmonies. Included is a mix of rock, pop, ballads and Americana. GMCF would like to extend thanks to our old friend and band mate Jack Quidley as well as Jacob Anflick and Aaron Turner for providing the outstanding drumming heard on Songs From The Lake. Very special thanks to Billy Richardson and Electric Eye Studios for the mixing and mastering of this album! GMCF Bio: David, Tony and drummer Jack Quidley formed the band Mother Cornflake in the early 1990's. After playing with several guitarists for a couple of years, David invited his cover band partner Fred to join up. Fred eagerly agreed and his playing style was what the band was looking for to round out their sound. Mother Cornflake toured the east coast playing to packed houses as well as recording a full length album and an EP. Unfortunately, the strains of various life challenges forced the group to disband in 1996. Jack moved home to Cape Hatteras, NC and David and Fred continued playing in their cover band for the following 10 years. Jack is currently a singer/guitarist performing well over 100 gigs a year in various venues on North Carolina's east coast. Prior to joining Mother Cornflake, Tony was a member of The Graphic, his wife Treva's popular Greensboro band. The Graphic played numerous shows all over the country including several at the famed CBGB. After his stint in Mother Cornflake, he continued playing shows with Treva and played on her highly successful album recorded in the late 1990's with their longtime friend Don Dixon and Mitch Easter handling the engineering and production duties. Tony, David and Fred remained friends over the years and got the "bug" to write some music together again. They were having so much fun, they decided to record the songs which are included here. It seemed fitting to make Mother a Grandmother since we are all a little older, hopefully more mature and better songwriters!! Grandmothers were always more fun than mothers when you were a kid anyway, right?!! !